Jason Sulkin is a guitarist specializing in education and performance. 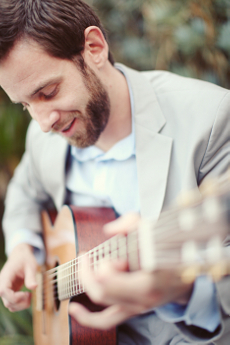 Based in Agoura Hills, California, Jason has studied music and the guitar in a variety of styles including jazz, rock, pop, funk, blues, alternative, folk, Latin and classical. He was born in Tarzana, California, and began playing the guitar at the age of 12. Jason played guitar throughout high school and it wasn't long before he developed a strong repertoire and a love for all styles of music. Ever since then, he has had a passion for the guitar and a thirst for performing and creating music. 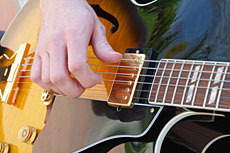 Strongly influenced by the music of Miles Davis, Herbie Hancock, Jaco Pastorius, Wes Montgomery, Carlos Santana and Trey Anastasio, just to name a few, Jason went on to further his studies at Sonoma State University where he received his Bachelor of Music in Guitar Performance with an emphasis on Jazz Studies. There he studied under the tutelage of Mel Graves focusing on jazz theory and improvisation and jazz composition. During his music training, Jason was a member of the highly acclaimed Sonoma State University Jazz Ensemble as well as a member of Blusion, Sonoma County's premier jazz fusion band. As the lead guitarist in Blusion, the band played regularly at Charles Krug Winery in Sonoma as well as the Napa County Fair. The band also opened for Spyro Gyra when they appeared in concert at the Harmony Festival in Sonoma. Jason studied extensively with renowned San Francisco Bay Area guitarists Steve Sage and Randy Vincent, two great guitar players and mentors who he credits for bringing out the discipline and skills he would need for a lifetime of music achievements and expression. After graduating from Sonoma State University, Jason moved back to Southern California to begin his professional career as an educator and performing and recording guitarist. He works and performs with a number of musicians throughout Los Angeles, Ventura, Santa Barbara and Orange Counties and has been involved in several recording projects. Jason performs for weddings, corporate events, private parties, wine tastings, jazz festivals, charity fundraisers and special events of all kinds. He has written several compositions and continues to write music that is performed by professional musicians. Jason continues to indulge his passion for the guitar and teaches guitar and music theory privately to roughly 30 students weekly. 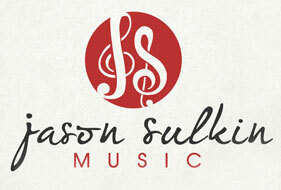 © 2007 - 2019 Jason Sulkin Music. All rights reserved.